After giving the world a glimpse at Android Wear back in March, Google has finally revealed its new OS meant for wearables. 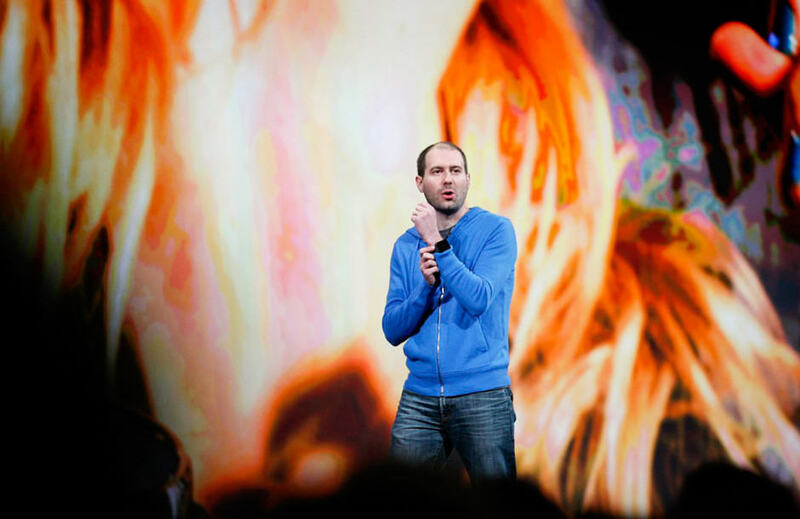 Android Wear, detailed Wednesday at the Google I/O conference in San Francisco, is a true OS for smartwatches that will offer many advanced features like synced notifications, the ability to control other devices around you and constant display of relevant information based on the wearer’s location. Unless Apple surprises the world with the speedy release of its long-rumored iWatch, it looks like Android Wear smartwatches will win the race for wrist supremacy. In other words, they’ll be your first “iWatch.” Here’s what the Google-powered devices will offer. The most powerful aspect of an Android Wear smartwatch will be getting various notifications to you more quickly while eliminating the need for constantly checking your smartphone. Android Wear smartwatches will display notifications from apps installed on your Android device, from Google Now and from apps running on the watch itself. Google has included a nifty Do Not Disturb mode that can mute all notifications. Android Wear smartwatches will also be location- and context-aware, designed to show relevant information at the right time and place. For example, if you are at the airport, Android Wear will automatically display your boarding pass information and a QR code for an easier check-in and boarding experience. 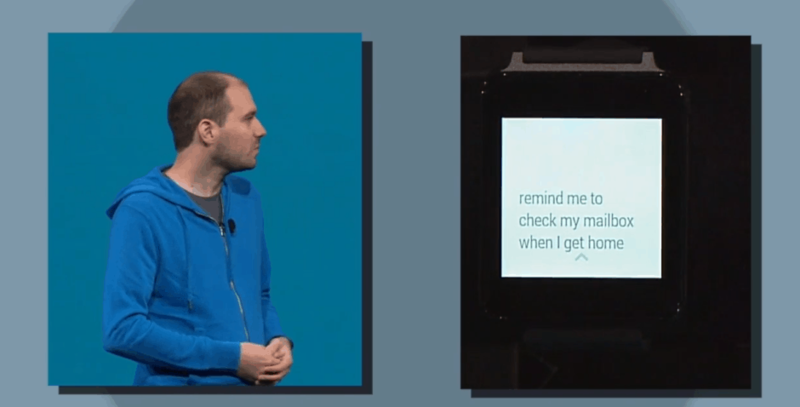 Android Wear has been designed to work with smartwatches having rectangular as well as circular screens. The UI, designed around swipe-based gestures for easier navigation, makes extensive use of Google’s Card layout seen in Google Now. While swiping up and down will switch between notifications, swiping left and right will reveal more information from a certain notification. Android Wear smartwatches will feature “OK Google” voice-recognition functionality, just like Android phones and tablets. Users will be able to use natural voice commands to open apps, play music, set up location-based reminders and execute similar tasks. Key voice actions will also work with certain third-party apps, allowing users to book a cab or order a pizza right from the smartwatch itself using a simple voice command. It is not yet clear whether the voice-recognition technology will be always-on like on the Moto X or will work only when the screen is turned on. 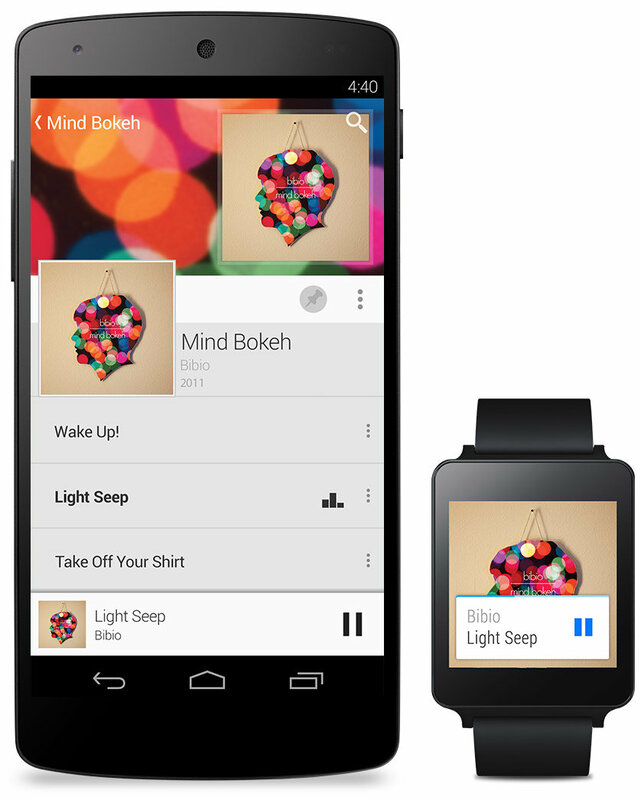 Android Wear will offer users plenty of customization options, just like Android itself does. This includes custom watch faces that can change the UI’s theme and system-wide color palette. Thanks to the APIs offered by Google, Android Wear smartwatches would be able to control other devices around them as well. For example, issuing a voice command to play music will automatically start music playback on your Android device with the playback controls popping up on the smartwatch. Installing any Android app from the Play Store will automatically install its companion Android Wear app on your smartwatch as well. Android Wear apps, however, can only be used for mundane tasks and actions, and are not really a replacement for their phone counterparts. Android Wear smartwatches will also be able to count the steps you take and will provide you with an in-depth activity summary on a daily basis. On certain models, users will be able to check their heart rate, provided the watch comes with the required hardware. Android Wear smartwatches will be compatible with devices running Android 4.3 Jelly Bean or higher. What do you think about Android Wear? Drop in a comment and let us know!